We wanted to share classroom Collaborative Inquiry Goal #2 growth for each grade level! 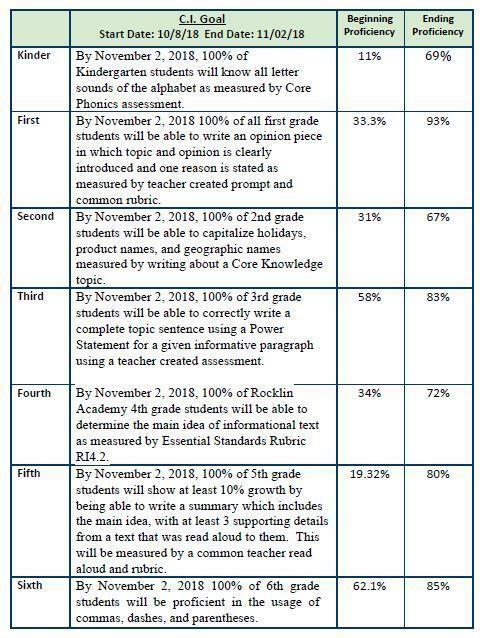 Our students are working hard to meet goals and have demonstrated fabulous growth towards their grade level standards. Both students and staff should be celebrated for their diligence because it has paid off! Our staff met in teams to continue to provide support for students still working towards this goal and we look forward to celebrating with all our students any growth that they have made! Go Eagles!